Hydrogen fuel cell forklifts are not just an economical fit for mega-warehouses with fleets of 100 trucks or more. 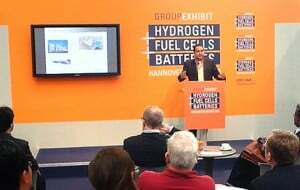 Nuvera’s on-site hydrogen generator is helping fuel cell power make sense for modest-sized fleets as well. 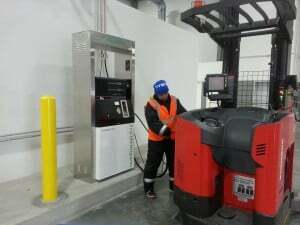 For example, a Nuvera hydrogen-supplied fleet was able to switch to fuel cells with only seven reach trucks and 10 pallet jacks that consume about 25 kg of hydrogen in 24 hours. 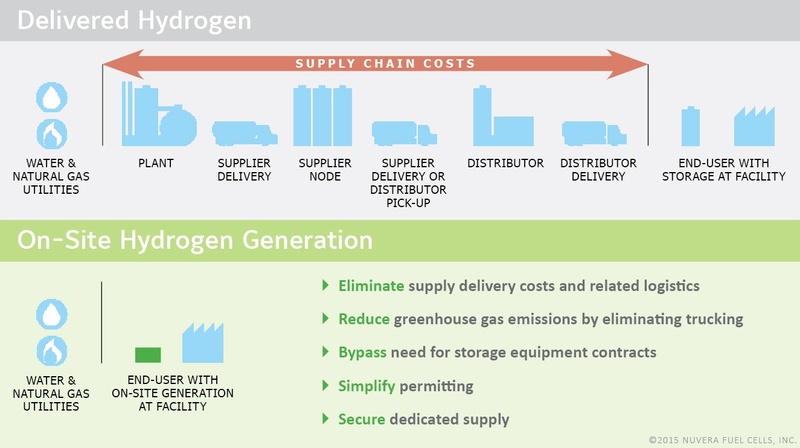 The daily cost savings achieved with a hydrogen-powered fleet easily justified the investment.